Choosing the best stability running shoes are not easy while hundreds of new brands are coming in the market every day. Whether you run for exercise, stress relief or for accomplish a goal a good pair of comfortable shoes is very important to keep in order to reaching your destination. Keeping this in mind, we made a collection of top rated stability running shoes. Hopefully, this will help you to save your money and time both. The first comfortable running shoes are Asics Gel Kayano 22. The materials used here make it lightweight and feels easier to carry. These are isole removable, it means if you want to wear special shoes insert, they will work perfectly with these shoes. Two different colors are available for the shoes, Turquoise/White/Black and Ice Blue/Pink Glow/Marina along with the same design and pattern. 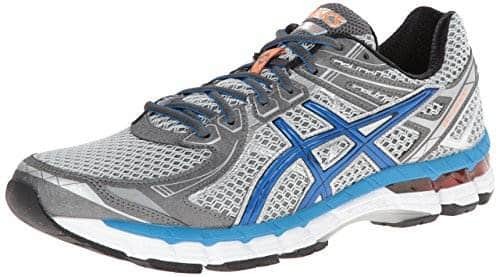 One of the greatest change Kayano 22 running shoes bring in their design is they use a seamless, mesh throughout the entire upper. It is breathable and not produces too much heat or store heat inside. Its sleek new fluid fit upper re-engineered and easily can adjust with any kind of feet. The midsole of the shoes have enough softness. Hence, Kayano 22 shoes are perfectly stable and capable of exquisite performances. Another noticeable thing is Asics High Abrasion Rubber on the outsoles, specifically around the heels. You can see it’s almost untouched from the previous Kayano model. A new Asics’ FluidRide technology applied here to make it unique in performance. The outsole of the shoes designed with a durable and hard rubber keeping in mind it can withstand a high quantity of miles without any interruption. This will help you feel confident so that you can go a long way and your shoes will not damage. The performance of the Kayano 22 running shoes is just excellent. A runner who is regular on running they feel the best advantage of it. Not only these, any beginner runner can suit with the comfortability without any effort. During the journey, you will not feel any friction or irritation caused by the traditional seams. It has a removable insole for comfort. Rubber sole, textured outsole for grip. The Lace up running shoe feature mesh overlays for breathability. Forefoot and Rearfoot GEL cushioning system. Trusstic system reduces the weight of the sole. No irritation or friction feeling. A little bit heavy for running sneakers. Some issues of lacking stiffness. Those who have an overweight problem it is for them. Runners who are looking for extra supportive footwear. 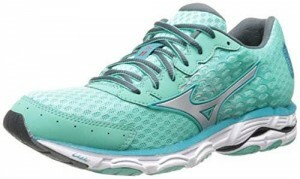 Those who are looking for stylish and comfortable best running shoes in world they can try Mizuno Wave Inspire 11. You might be expecting to have a number of exclusive features in your running shoes, so to cover your all expectations this comes with a unique design and features collection. First of all, its look very pretty and feels very comfortable. The model is not only amazing safe in its function but also in its form. The materials used here maintain quality and enough comfortability. In fact, it combines all the custom technology in hopes to transform it an efficient product. The designer designs the Mizuno Wave Inspire 11 shoes with lots of stitch lines on the upper. Besides of this the tongue of the shoe is very appealing with a plenty of soft lining padded inspire of the short side. Special thanks to the woven materials, because of it’s the heel collar lining seems prettier. The materials used in the previous Wave Inspire 10.U4IC also used here in its midsole. The Mizuno use very efficiently U4IC foam materials to withstand many miles of running. These materials are as durable as AP+ foam and give the shoe a bouncier feel. Most of the real users appreciated its outsole that has a more curved design than previous versions. Here the Mizuno Wave Inspire 11 incorporated with SmoothRide™ technology that designed to minimize the rapid acceleration and deceleration of the foot during the gait cycle. Further its X10™ carbon rubber compound delivers supreme traction at heel strike as well as maximize durability along high impact zone. As a return, you can enjoy a buttery soft ride. Mizuno Wave Inspire 11 shoes are great for arch support. Due to the reason with its support, your feet and ankle will be more accurate and can stand on a healthier position. Rather its removal-welded overlays increase the airflow in and out of the shoe, which feels more natural to use. Made of synthetic and fabric. Extremely lightweight, only 2 pounds. Ideal blend of cushioning, great support. The inside tongue portion sometimes rub the top of the foot. Especially advisable for those who are looking for comfortable running shoe. Professional runners can try these to make running more powerful. 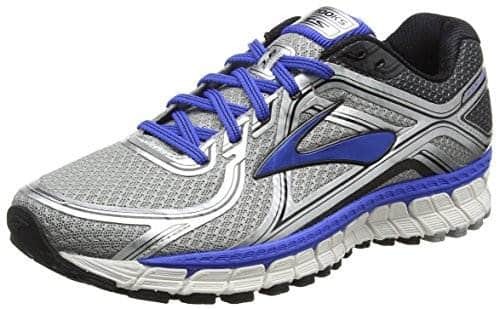 According to the real users after putting about 50 miles they find Brooks Adrenaline GTS 16 enough stable and comfortable. If you are looking for comfy and supportive running shoes for your flat feet then you should try Brooks shoes. These shoes come with the best-advanced features and technologies. It has all the abilities to absorb any shock of hard landings. At the same way, you will be happy to know its improved upper from the previous version enriched with better breathability and comfort. If you compare the upper of the shoe with other models, you will find the most improvement there. It’s not like the old traditional ones, a modern sewn overlay upper comes with the Adrenaline GTS 16. For instance, it allows runners a right amount of rigid support. With the Brooks Adrenaline, you can enjoy the strong and stable ride which even sometimes missing in the most expensive running shoes. With this in mind the Progressive Diagonal Rollbar®: tri-density midsole designed to promote progressive pronation control. The shoes equipped with an extended Caterpillar Crash Pad and allows for full ground contact. At the same time, it ensures providing a strong and stable heel to toe transition. In fact, they are better stability shoes for a workout. Brooks Adrenaline GTS 16 has smoother transitions throughout the gait cycle. Runners who need to run for a long time or the long way this will specifically suit with them. HPR Plus delivers long lasting durability. Full length, segmented Crash Pad ensures smooth transitions. Come with different widths including wide, narrow, medium etc. Suitable for all indoor and outdoor workouts. Great color and cool designs. A Little bit expensive than most other running shoes in the category. Wide foot users might feel tightness in the toe box. Runners who have flat feet it is for them. Perfect for them who are looking for an ideal addition to avoid arch irritation. New Balance 1260v6 is another new collection in the series that can wear with style. No matter who is wearing like men or women their different designs are available for both men and women runners. To start with, the shoe comes with lots of color variations; these are comfortable, stable and supportive at the same time. We are glad to let you know the upper of the shoes made with highly breathable fabric and synthetic mesh. It is a very positive clue about any running shoes because it won’t retain any body heat during runs. So runner gets more than enough breathability for longer runs. One of the key strength of the shoe is its full-length ABZORB midsole. Remembering this, it provides a pleasant cushion in the forefoot and a smoothly solid base throughout. Further, it features a wedge shaped layer of ACTEVA LITE foam in the heel of the shoe. It helps to reduce the impact of hard landings while running. 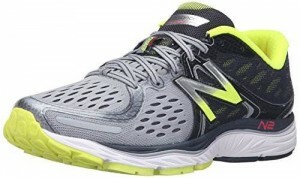 To talk about the outsole of the New Balance 1260v6 stability running shoes you will find some uniquely designed midsole coupled with a similarly intriguing outsole. Tell you briefly, its blown rubber platform made up of 6 quartered pods under the forefoot. Plus, a highly durable carbon rubber material, Ndurance used to make the outsole unit fabulous. These shoes are amazing for long runs; you can undoubtedly rely on them. With its help, you can enjoy a pain-free joint and feet exercise in spite of running a long way. However, for regular usage, these will work great. Synthetic and fabric materials shoes. Inside it has ACTEVA LITE lightweight foam. No-sew FantomFit upper for an easy fit. Features stabilizing ABZORB Crash Pad. Light stability road running shoes. Very appealing stylish design and color. Might take some time to get used to. Few claimed it has a very wide front foot. Who are ready to spend more to get the best comfortability. Those are looking for long lasting running shoes. If you can find the exact size of Asics GT-2000 2 of your feet then you are really lucky. Because of with a pair of these shoes you can enjoy more your running and can reach to your destination. In this regard, if you are suffering from some major/minor ankle pain or want to decrease your pain then must try these shoes. You will feel confident to wear and enjoy your each move or walking while exercising. The upper of the running shoes composed of two materials. Here you will find inner cloth material and thin cloth webbing on the outside, give it a more modern look. Materials used here are breathable and molds your foot for an uninhibited stride. The manufacturer made this with a layer of rubber cushioning. In this addition, between the midsole and back of the heel Asics’s Signature Gel Technology used with a gel pad. It actually helps to support the heel and ankle. 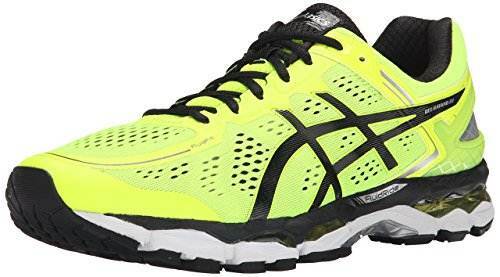 Asics GT-2000 2 synthetic upper features Heel Clutching System with exoskeletal heel counter for improved fit. As for this whenever you run, jump or walk you will feel closer to the ground. 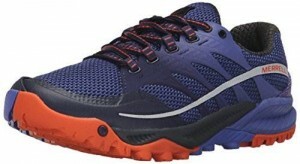 These stability running shoes are most suitable for those who want something light yet cheap. With this intension, you can wear them because they can give you that speed, lightness, and flexibility you expect for your running. Made of synthetic and rubber sole. Features forefoot and rearfoot GEL cushioning system. Shaft measures approximately Low Top’’ from the arch. Flexible to use with foot support. Few complained shoes are narrower than normal. Not suitable for dancing or aerobics. Best for those runners who are moderate overpronator. For professional runners who want extreme flexibility. 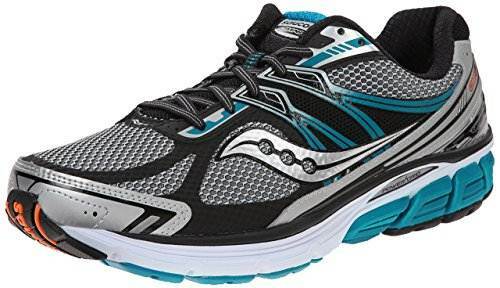 Saucony Guide 9 top running shoes for men come with everun top sole construction. It specially made for racing and road running. You might already know Saucony is one of the most respected names in running shoe industries. Every time they come on the market with a new addition that catches any athlete’s attention and feel them confident while racing. In fact, they have become one of the best sellers for quite a long time now. The upper of the shoes are very sturdy yet flexible. You will find the upper made of synthetic/textile and fabric with traditional lace. According to the reviewers, you can loosen or tighten the laces as per your requirement. Hence after the breathability on them is great and helps to maintain a solid amount of control throughout running. Until now, whatever shoes you use most probably this level of cushioning is the softest to date among all. Do you know where the biggest improvement comes? Well, it comes at the inclusion Everun in the heel. It actually a molded pellet cushion design, give you more comfort. The inclusion of Triflex gives you more flex in the foot. It’s the newest zigzag pattern in the forefoot. This Triflex designed to help you maintain your pace and encourage a proper toe-off. 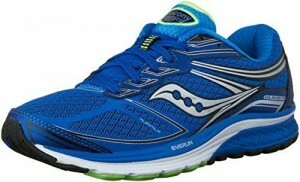 Saucony Guide 9 shoes have noticeable performance. In this regard, runners who exactly need high arch support but narrow toe box, they need it more than others. Above all, it designed in a way so that it can increase your energy, allows you to run longer and more efficiently. Pronation levels moderate to severe. Light stability road running and racing shoes. Features 8mm heel to toe drop. Shaft measures approximately 2.49’’ from the arch. Newest EVERUN continuous cushioning system. Dual density EVA midsole offers responsive cushioning. Ideal for supporting high arches. Add XT 900 carbon rubber for more durability. Offer decent breathability with upper mesh. Give great comfort and protection from impact. Issues with narrow toe box. Few times issues with the same model but different colors. Runners of all type can use it because it offers a consistently diverse lineup. Users who have flat feet will need it. 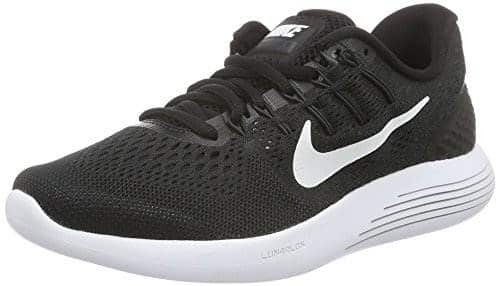 Nike LunarGlide 8 best stability running shoes enriched with the latest technology and makes running more enjoyable for a long distance. The first thing you need to know about these running shoes, they made in USA. Probably we already know the trustworthy quality assurance of USA made products. In such way, this shoe is good for a workout, especially for cross feet. Hopefully, you will enjoy these shoes both for indoor and outdoor use. The upper of the Nike LunarGlide 8 shoes made of synthetic mesh with a durable rubber sole. You can feel the upper fits well and holds the feet securely. Moreover, it has a nice combination of Nike’s Engineered Mesh and Flywire. As a result, it can create a breathable sock-like fit without overlays. The greatest difference comes on the LunarGlide 8 is it has a smoother heel support. Almost all the users liked the comfortable and spongy feel on the heel. They feel it super supportive shoes and feel super soft to wear. The molded pods on the outsole grip have excellent traction. Even more, the traction instills confidence whenever you want to take a sharp turn in wet conditions too. The design is excellent enough with simple and clean lines. Nike LunarGlide 8 running shoes are fabulous for arch support and pronation. A number of real users clarified they didn’t feel a bit of pain under their toe areas or the areas under the front of their foot. By the way, the most important part is it won’t get hot due to the mesh lining in the front. Along with this, the front toe box is quite wide just the way the picture looks like. Made with LunarGlide boasts Plush Lunarlon foam for a cushy experience. Use Flyknit material and Flywire cables for needed breathability. Rubber sole and synthetic materials. Recently upgraded for a stellar feel. Wide toe box is just perfect for wearing all day long without hurting feet. Not feel heavy to wear. Reported as tongue looks a little bit awkward. Requires attention to run on asphalt or concrete. Perfect addition for runners who are seeking for super lightweight construction. Who wants to wear shoes matching with an outfit. Salomon is a very popular name in the running shoe industries. Counting popularity, this brand has become one of the best-selling companies in the year. The specialty of Salomon Speedcross 3 shoes is their grip provided by the large arrow shaped lugs on the Contagrip sole. It’s hard to believe from mud and gloop to snow and ice these shoes just incredible to keep on gripping. Speedcross 3 shoes come with commendable upper; here you can see the front upper made of tightly weaved ripstop nylon materials. It creates breathable lightweight capsule yet acts tough and resistant in rough conditions. The midsole of the shoes have dual density EVA that provides comfort. They feel breathable and while wearing them for a long time you will not feel suffocated at all. The shoe features Sensifit technology and Quicklace system that makes the shoe more versatile for beginners. With this in mind, it comes with protective rubber toecap and doesn’t damage in touch of water. The shoes have wonderful performance on any soft trails where it can dig in and grip. It can equally perform well on ultra distance or at home on a quick blast on the trails too. Water resistant Trail ready running shoes. Synthetic sole with an Ortholite insole. Come with anti-debris mesh upper. Equipped with Mud and Snow Contagrip nonmarking rubber outsole. Feature dual density EVA midsole. Feel very stable over all ground. 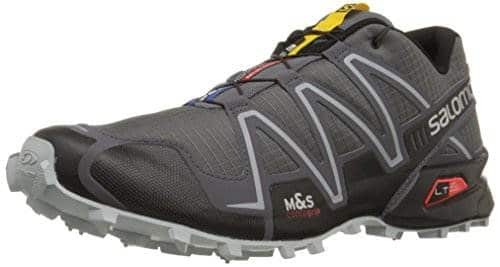 Performs better as a mountain, fell and trail running shoes. Aggressive tread providing grip on any terrain. Offers the loudest color options ever. Provide much cushioning and protection. The bulky heel pointed as a negative feedback. For broad feet might feel a little bit tight. For those who are searching for stable shoes with a low heel-toe drop. Merrell All Out Charge running shoes can prove one of the most durable trail shoe upper you have ever tried until date. It comes with a traditional lace closure design, which gives it an elegant look and versatility. In this addition, the barefoot style trail runners in the mesh are incredible for both indoor and outdoor use. They require minimal maintenance and not cost more than the similar models in the category. The upper of the Merrell shoes made of textile that provides great flexibility. On top of that, landings are soft and transitions always feel smooth in these sneakers. These have a removable footbed. Henceforth its high cushioning level in the heel and forefoot area protects runners’ feet from debris on the ground. The shoes feature 12mm heel cush / 27mm heel stack height to 6mm drop. As an effect, you can feel closer to the ground while jumping, running or walking as like you are in barefoot. shoes offer you a breathable mesh lining and integrated microfiber footbed that allows you more Comfortability. As well as its Uni-Fly impact absorption system provides you a soft landing and an easy stable takeoff. Therefore, it is overall a comfortable shoe. Made with ultra resilient soft foam. Equipped with Hyper wrap 360 degrees fit system. Locks foot in place to enhance natural stability. Provide a decent amount of breathability. Perfect balance of feel can go faster and longer. Durable materials inspire to last long. Few claimed it has poor construction. Issues with the narrow arch area. Runners who are looking for a perfect everyday training shoe. Advanced level of athletes who intend to improve themselves. As a high cushioned road running shoe, nothing could be beatable with Saucony Omni top running shoes for women. In fact, Saucony Omni 14 shoes bring significant improvements compared to other models in the last year. Its latest mechanism will help you quickly pull and lock the shoe into place. Like the other addition, these shoes are lightweight and easy to carry. The shoes made of fabric and rubber sole. Maybe this is the reason it feels lightweight and sturdy to survive from dust, rain or sun. Moreover, the upper lining design gives it a stunning look. Its cushioned midsole are very helpful to have some extra comfort. This allows absorbing moisture and ensures your ankle will not feel hurt after wearing for a long time. The shoes feature a latest Dual density SSL EVA system. Though it not has a new heel for support ankle, yet its rubber sole is enough for good bouncing. Over the year Saucony Omni 14 covers many customer’s satisfaction, especially its Gel Cushioning system works well for shock absorption upon impact. However, its 33% lighter blown rubber gives the shoes an extra dimension of styling, which is really commendable. Offer shock absorbing SRC Impact Zones. Dual density SSL EVA midsole. Feature XT-900 carbon rubber outsole. Absorb shock better than any cushioning shoes. Not cause any irritation or friction. Sole might feel a little bit hard. Few claimed awkward feeling due to lightweight. Runners or everyday workout plans. Who wants cheap running shoes. After a long-term research, we included every kind of running shoes here and most of these are quite reasonable, so anyone could afford. During research, we emphasize on quality, materials, and comfortability. We hope these best stability running shoes can fulfill all your needs. Therefore, they can cover all the bases and provide enough cushions to go for distance. If you want, you can pick any of them and enjoy your running better than ever.